Global shared-workspace company WeWork offers coffee, local beer, ample space for community events — and jobs for refugees and veterans. Here’s a business that expects to do well by doing good. It’s shared-workspace company WeWork, which a news outlet in Philadelphia says has started offering jobs to refugees. Marielle Mondon at PhillyVoice reports, “WeWork, one of the biggest companies spearheading the transition from traditional offices to millennial-luring co-working spaces, has announced a new commitment to hire 1,500 refugees globally in the next five years. “Several other companies have made public initiatives to offer refugees a means of employment as they try to establish their new lives. … Starbucks pledged to hire 10,000 refugees by 2022. … Companies including Chobani and Uber made similar promises. “WeWork CEO Adam Neumann told the Washington Post that the refugee pledge was … a way to help solve the growing problem of refugee displacement. “The Post reports that the refugee jobs during the pilot program in New York [involved] workers taking care of the daily maintenance and tenant assistance needed in WeWork spaces.” More here. You know what? 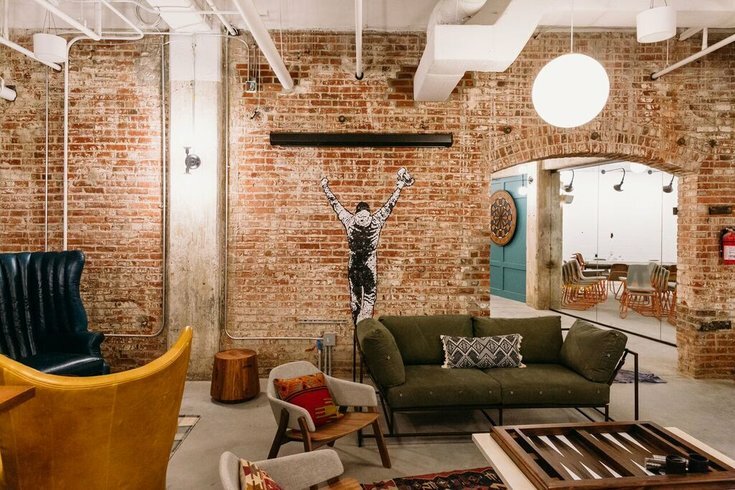 Although the WeWork target client is a millennial, I can easily see an elderly person who can afford office space signing up to use his computer there and hang around young people — the way some older folks use libraries. I wonder if anyone would mind. So cool. I love the intergenerational idea. I think it’s so important to desegregate–we shouldn’t profile/stereotype people by skin color, nor by skin elasticity. Well, *I* like the idea of letting a few old folks into these business hangouts; I’m not sure younger people would like it. But I can see an octogenarian begging an entrepreneurial grandchild for the privilege of answering phones or opening mail just to be around youth.